As owner Lindsey Hoover says: "Yoga is the glue that holds everything in life together." Yarrow Hot Yoga and Wellness Studio is a place of healing. For current owner Lindsey Hoover, that quickly drew her into the studio. Hoover began at Yarrow as a student, taking classes periodically and looking to find healing for herself. 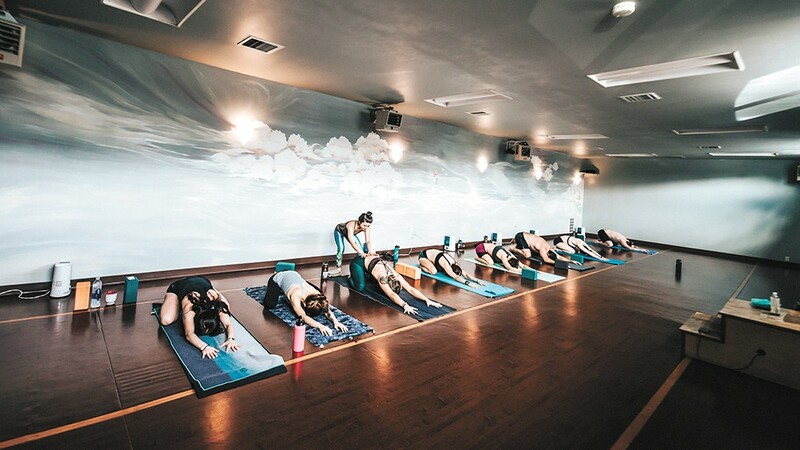 She began practicing at Yarrow and, quickly, the yoga and the community within the studio made an impact on Hoover's life, emotionally and physically. "There was no doubt that this was something I was going to do for the rest of my life," Hoover says. Hoover then began teaching, as she wanted to share with others what she had been learning through her practice. After working as an instructor, Hoover managed the studio, then took ownership of Yarrow three years ago. For Hoover, it's been three years of fostering a community of healing at Yarrow. "What I hold very, very close and value, and what I hold true to the studio, is Yarrow is a protected place of healing for everyone," Hoover says. "It doesn't matter how old you are, where you come from, who you are, you can let down your wall and cleanse yourself. "Yoga is the glue that holds everything in life together," Hoover says. And Yarrow achieves this goal, in part, through its teachers. "Our teaching staff is so fine-tuned and well-trained, and so deep in their practice, it's truly unique to Yarrow," Hoover says. Also unique to Yarrow is the space — something Hoover recognized from her first day. "I fell in love with studio from day one," Hoover says. "The studio itself is stunning. It's spacious, there are copious amounts of natural light that fill the space. I always say, 'We love people and we love the Earth.'" Yarrow was built with ecologically sustainable materials, from the wood, to the cleaning supplies, to the retail sold at the front. This is a lifestyle and business choice Hoover celebrates and adopted from the previous owner. "She really did create a beautiful space, and I believe it is important to keep that true to the studio," Hoover says. The community at Yarrow calls each other family — growing and healing together in a safe and empowering studio. The original print version of this article was headlined "Best Yoga Studio: YARROW HOT YOGA AND WELLNESS STUDIO"